Vietnam is one of the most vulnerable countries to the impacts of climate change. It's extensive lowland coastal areas, which support most of the country's agriculture and aquaculture production, are particularly susceptible to flooding and saline intrusion. What are the adaptation options for farmers to become more resilient? Both sea level rise and land subsidence are slowly increasing the risks of salinization of the coastal lowlands. In addition, drought, as experienced during the 2015-2016 El Niño Southern Oscillation (ENSO) phenomenon, will not only enhance saline intrusion but drought also has direct implications for production systems. The government realizes that there is an urgent need to prepare and plan for necessary response measures. The move towards a climate smart agriculture needs to be shaped in the context of the sustainable development of the country and region. 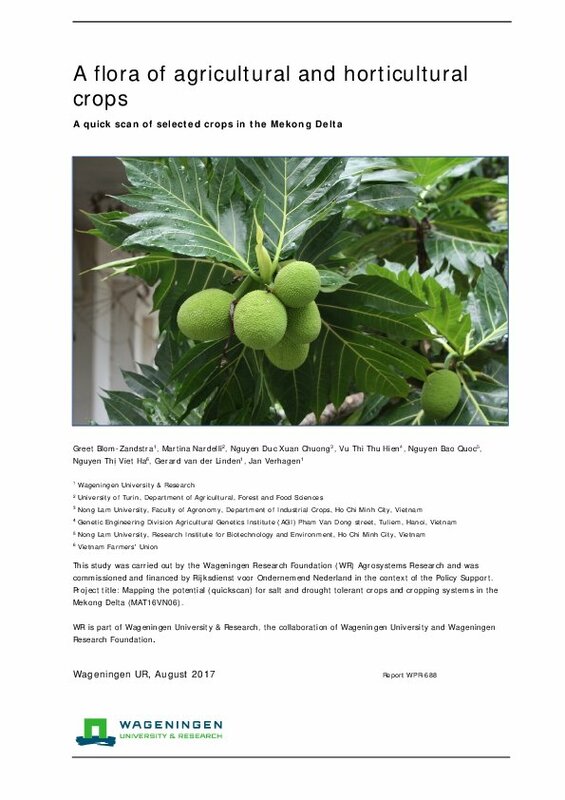 This study of Wageningen UR, Nong Lam University, VNFU and partners provides input in this discussion and provide strategies to deal with the urgent and immediate needs while looking a medium and long strategies to deal with saline and drought conditions. The work in this study is a quick scan focussing on the Mekong River Delta, using international and local expertise with the aim to identify promising crop and cropping system level strategies to address salt and drought stress. The Flora presents 29 crops and their respective characteristics. 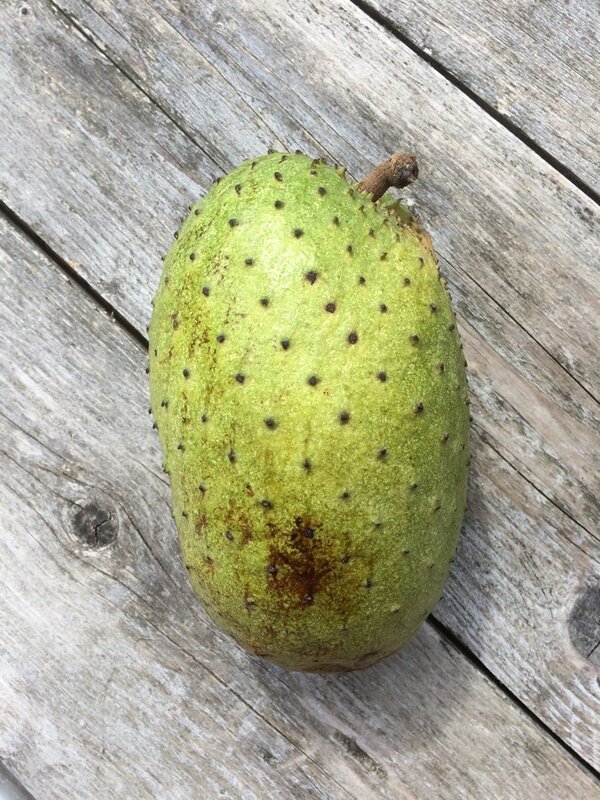 Soursop is one of the crops tolerant to saline conditions (picture). Partners are exploring the opportunities to give follow up to this study, for instance by setting up demonstration plots and a program on knowledge dissemination, targetting farmers and their networks.